Nut-free! 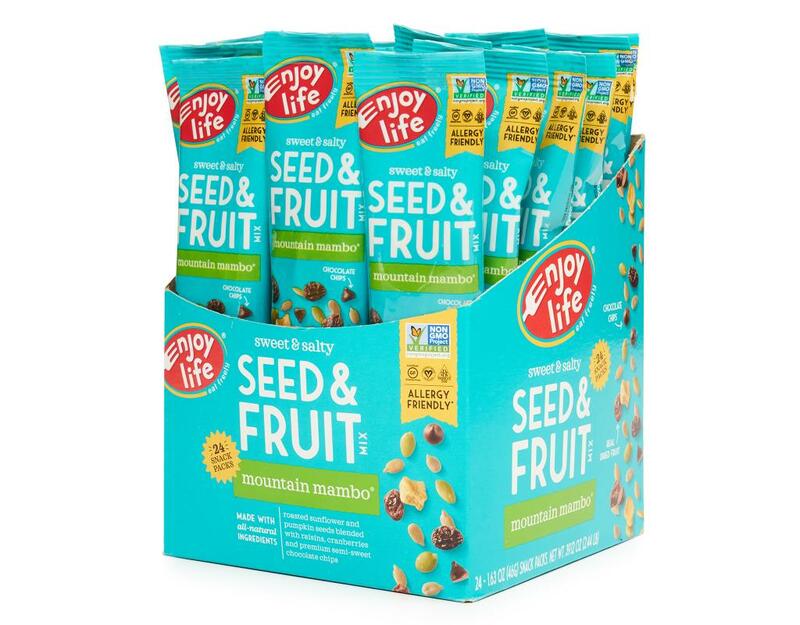 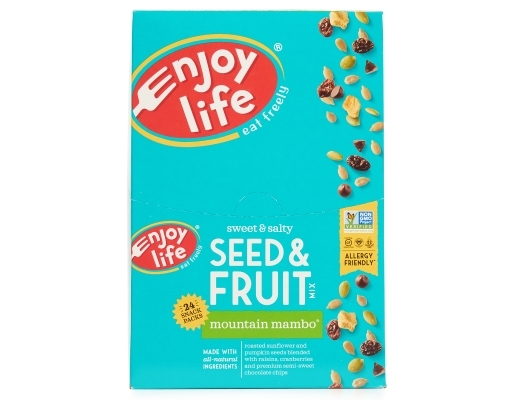 Made with sunflower seeds, pumpkin seeds (pepitas), fruit and mini chocolate chips, Enjoy Life's nut-free trail mix is both wholesome and delicious. 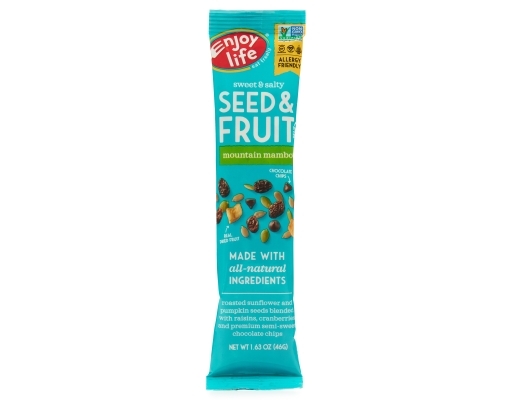 It’s perfect for people with nut allergies and makes a great school-safe classroom snack. 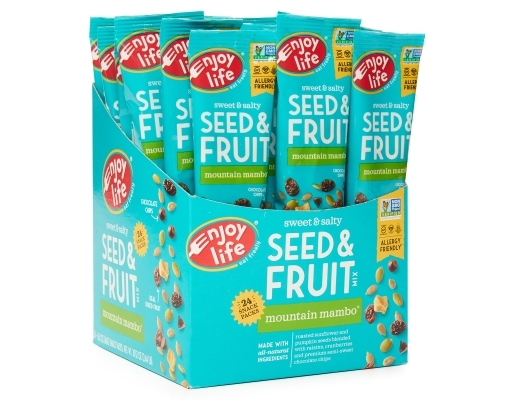 At Enjoy Life, their business is making smile-good foods that keep people's insides happy. 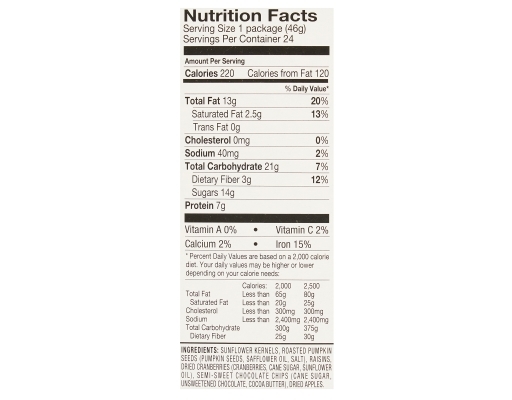 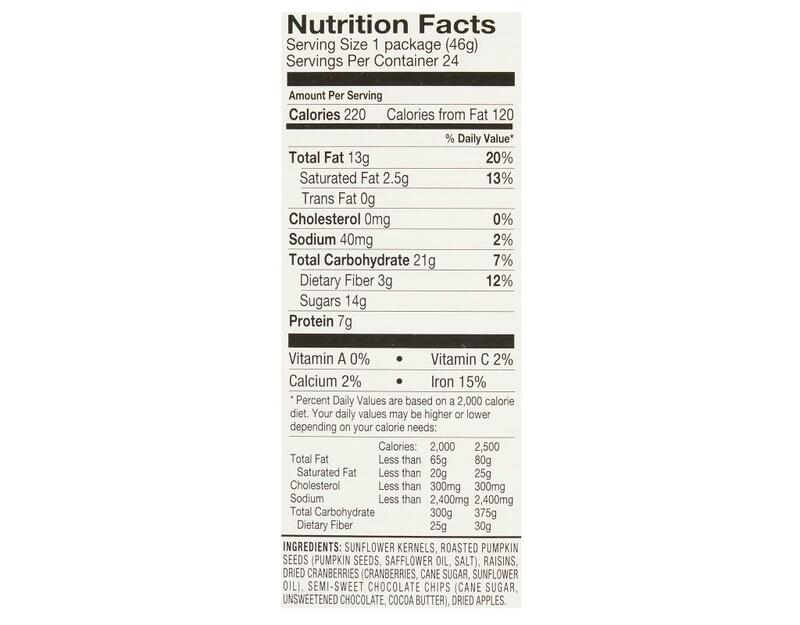 That's why all of their foods are specially made to be gluten-free and free of the 8 most common allergens. 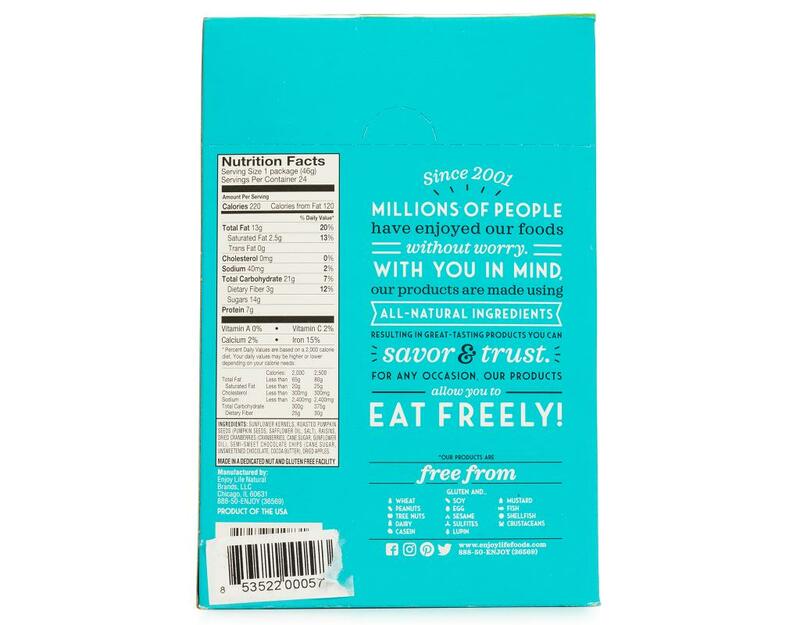 Their goal is to make delicious products that just above everyone can eat freely, and deliver on a promise to make you smile inside and out. 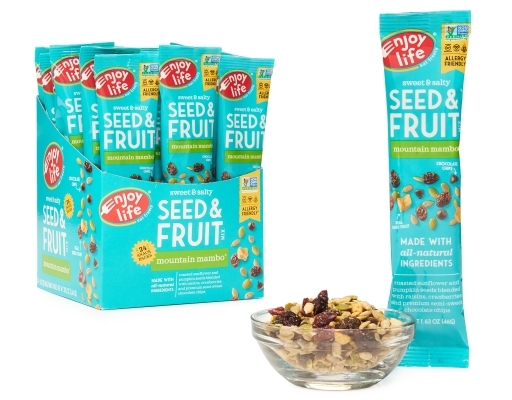 Enjoy delicious 'not-nuts' seed and fruit mix, a recipe that was developed with your family in mind featuring all natural ingredients and a dedication to safe and healthy eating.